I am a fine artist and printmaker. I make only monoprints, I like to experiment in a vareity of styles and printing techniques, combining graffiti and more traditional style often with an oriental influence. 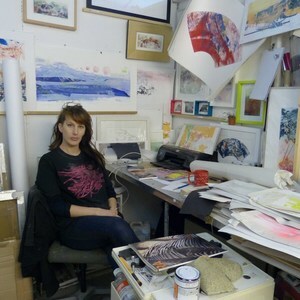 I have a studio at St.Barnabas Press in Cambridge, England.